If an employee cries foul, employment practices liability insurance (EPLI) can be a company’s best friend. This unsettling situation, which immediately draws a company into a potentially nightmarish legal, HR and financial maze, is one that few business leaders foresee. “I’ve heard people say, ‘We’ve never been sued before; why do I need to buy insurance for that? We’re like a family around here,’” says Gordon Coyle, CEO of The Coyle Group, an insurance and risk management firm in New City, New York. 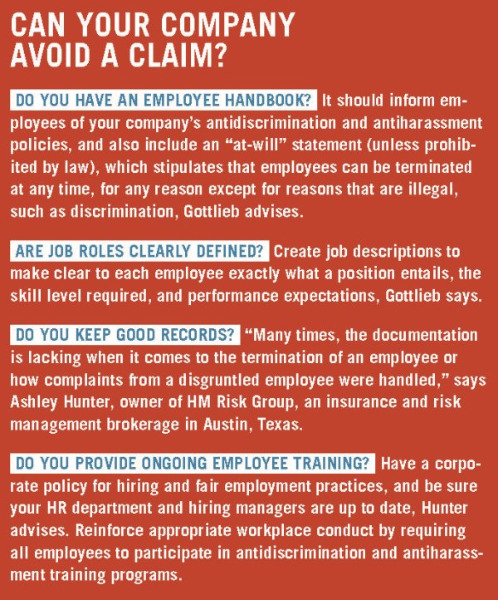 However, employment-related claims are more common than most people realize. 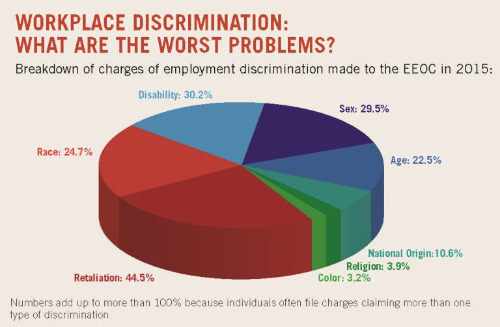 The Equal Employment Opportunity Commission (EEOC), which investigates allegations of discrimination and harassment by employers (and which is the primary means employees have for seeking redress for such claims), received almost 90,000 complaints in fiscal year 2015 alone. The results can be devastating for a business and no industry is immune from such charges. For example, one manufacturing plant faced a federal lawsuit brought by a group of female employees who alleged that management allowed the existence of a hostile work environment, reports attorney Michael Gottlieb, founder of Momentum Law Group in Gaithersburg, Maryland. Each employee was eventually awarded a significant sum in damages for emotional distress. Stories like these are leading more companies to consider EPLI coverage. EPLI offers protection from employment-related claims filed by current, prospective and former employees that are not covered by general liability insurance and other types of policies. Broadly speaking, EPLI functions as a sort of life raft for businesses that face allegations of wrongful acts, including harassment, wrongful termination, failure to hire, failure to promote and discrimination. Whether the employer settles, wins or loses the case, EPLI typically covers the legal defense fees and settlement costs or damages (up to a policy’s coverage limit). Since businesses of all sizes are potentially vulnerable to employment-related claims, all can benefit from EPLI, experts say. As a general rule, EPLI can either be purchased as a stand-alone policy or in a package with other policies. The cost depends on such factors as the number of employees in a business, how many past claims it has had and the type of industry it is in. Such policies typically include a deductible, which can be as low as $1,000 or in excess of $100,000, Coyle says. Be sure to read a policy carefully before purchasing it to check for any exclusions or limitations, advises Charles Krugel, a Chicago–based labor and employment law attorney. For example, wage and hour claims, such as allegations that an employee was not paid overtime, are not covered by all EPLI policies. It is so much better to be in the situation of the manufacturing company that was sued for a hostile work environment. The company had an EPLI policy that covered its legal fees as well as the damages awarded. EPLI is included with TriNet services at no additional charge to customers. We handle all the claims for you, often without needing to hire an outside attorney. Click here to find out more.